May 4th, 1970. A week earlier President Nixon has ordered American ground forces into Cambodia to pursue the Vietcong. By the end of the day four students will be shot dead by the National Guards in the grounds of Kent State University. On the other side of the Atlantic, it's a brilliant sunny morning after an April of heavy rain, and at the "Concept House" therapeutic community he has set up in the London suburb of Willesden, maverick psychiatrist Dr Zack Busner has been tricked into joining a decidedly ill advised LSD trip with several of its disturbed residents. Five years later, sitting in a nearby cinema watching Steven Spielberg's Jaws, Busner realizes the true nature of the events that transpired on that dread-soaked day, when a survivor of the worst disaster in the US Navy's history - the sinking of the USS Indianapolis - came face-to-face with the British Royal Air Force observer on the Enola Gay's mission to bomb Hiroshima. 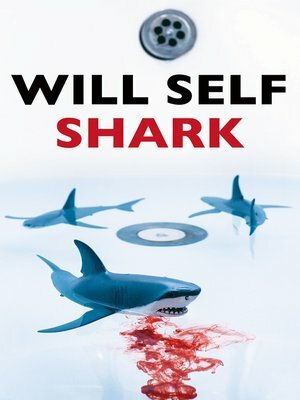 Set a year before the action of his Booker-shortlisted Umbrella, Will Self's new novel Shark continues its exploration of the complex relationship between human psychopathology and human technological progress; and like Umbrella, weaves together multiple narratives across several decades of the twentieth century to produce a fiendish tapestry depicting the state we're trapped in.